3:00 pm. to 7:30 p.m. The mission of NYSLSA is to create a stronger presence of retailers within the industry and to represent the political and business interests of liquor store owners throughout the state. NYSLSA focuses on the 1,100 licensed retail owners located in the 54 counties of Upstate New York. 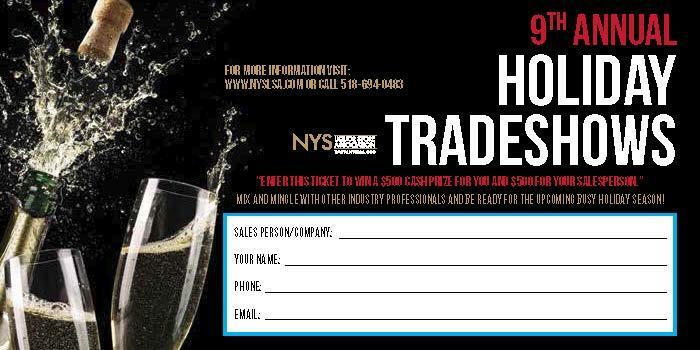 The NYSLSA Holidays Tradeshows are the largest events for the spirits and wine industry in Upstate NY and are attended by hundreds of liquor store owners and restaurant industry professionals from across the State. 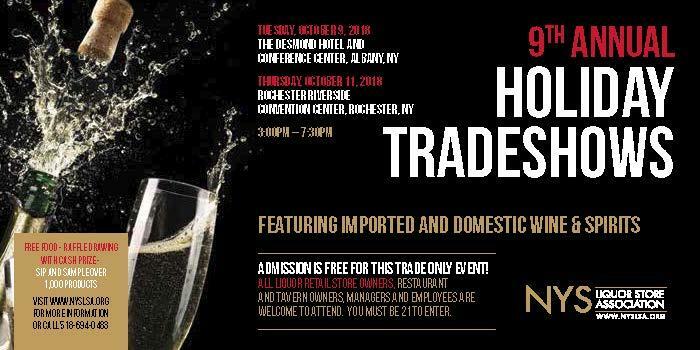 All liquor store owners, restaurant and tavern owners, managers and employees are welcome to attend. Please click, print, and bring this ticket for FREE admission to this 21+ event.